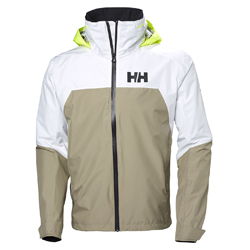 A sporty and lightweight men's sailing jacket, ideal for multiple water sports. This Sporty and Lightweight jacket is made for versatile use on the water while offering good protection against the elements. Shorter cut for freedom of movement and a shorter collar and snug hood for enhanced vision.